Because it is made ​​from pigs fed with acorn, it is particularly based. Iberian pork lean meat, salt, paprika, spices, sugar, antioxidant (E450), preservative (E252). 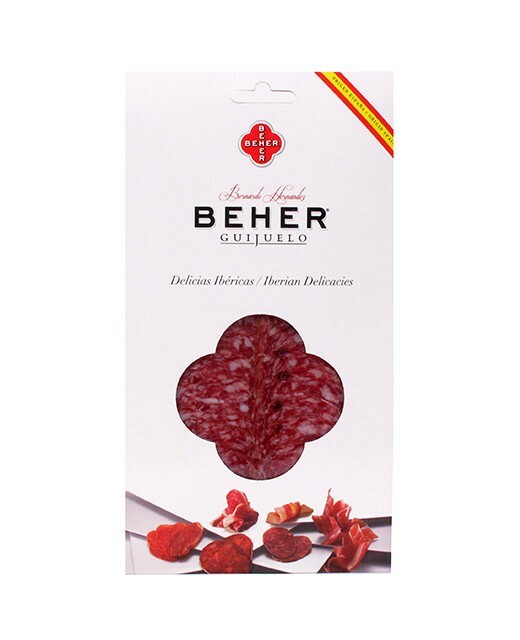 Beher is recognized in many countries for the quality of its products. The production is located in Spain, in the village of Guijuelo. 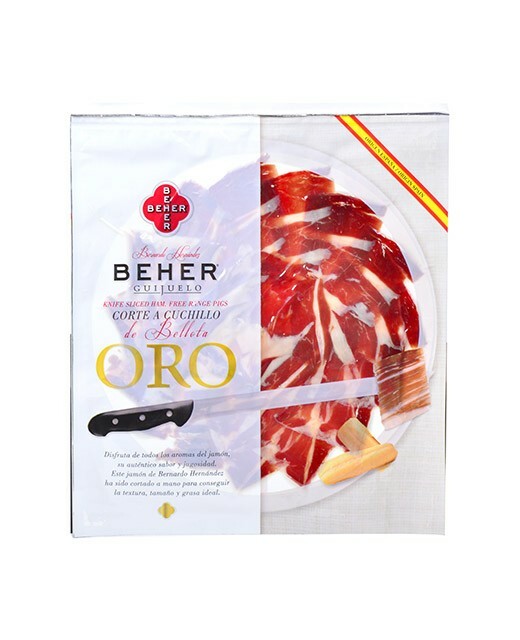 The manufacture of the House is organized around technological innovations, with impeccable hygiene and traditional know-how.Bellota ham proposed by the Beher House is reputed to be the best ham in the world. Iberian pigs grow in their natural habitat and are fed with acorns during the season. The animals are raised up to 14/16 months, reaching a weight of 160 kg to 180 kg before they are transferred to the Guijuelo factory. Although it is not mandatory, we recommend that you place the sliced ​​dry sausage in the refrigerator upon receipt to improve conservation. For an optimal experience, remove the dry sausage from the refrigerator and leave it at ambient temperature 30 minutes. Once past 30 minutes, open the blister and wait 15 minutes. Here, the dry sausage is ready to be tasted. 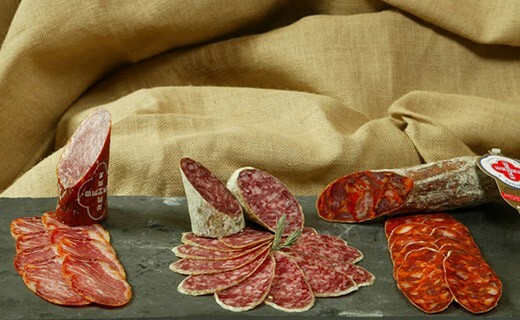 Once the blister open, you must consume the sliced ​​dry sausage immediately or wrap it in greaseproof paper or transparent film to prevent contact with air.